Sheffield Churches Council for Community Care (S4C) has been supporting older people in Sheffield for over 50 years. 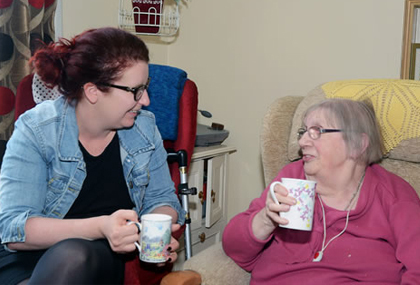 it provides a range of services including friendly visiting to isolated older people, assistance with hospital discharge, loans of high-seat an end-of-life chairs, A&E to home transport, and help for relatives choosing a care home. Funded mainly through commissioning, S4C was conscious of increasing pressures on these public funding sources. It wanted to understand more about the impact it had on the people and organisations it worked with, and use this information both to review its income strategy and identify how its impact could be strengthened further. My analysis focused on the outcomes that S4C achieved - the difference it made to people's lives rather and to the organisations it worked with, rather than simply the number of visits, jobs or hours worked. I began by running a workshop with a group of staff, volunteers and external representatives, followed by a review of data - including client feedback - already held by S4C. From this starting point I went on to interview a range of stakeholders, including volunteers and external contacts, and drew further information from external research. I then used this accumulated evidence to identify the value achieved for each stakeholder group by each of the various S4C services, and how this value was achieved. Whilst not a full Social Return on Investment (SROI) analysis, this approach enabled me to estimate a financial value for the outcomes that S4C's services achieved. It also broke this down so that benefits to different stakeholders could be identified, including 'intangibles' such as the health and wellbeing of the older people that S4C worked with. My report demonstrated that the social value that S4C achieved was more than three times its total income, and more than four times the value of its contracts with the local council and NHS. Financial savings for statutory services alone exceeded the value of these contracts, even if no account was taken of benefits to service users and others. It also showed the huge value of S4C's use of volunteers, and the great benefits of their visits to isolated older people. The report also included recommendations on how S4C could further improve the targeting of its resources, and how it might enhance its current funding sources, which the organisation is currently pursuing. 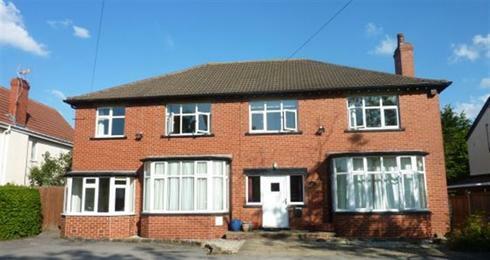 Leeds Gypsy and Traveller Exchange (GATE) supports the city's Gypsy and Traveller communities. It works to tackle problems including health inequalities which see an average life expectancy for these communities of just 50 years, compared with 78 for the city as a whole. GATE had developed a number of narrative stories based on typical Gypsy and Traveller experiences with health and social care. Each story had two versions: what currently tends to happen, and what an improved 'healthcare pathway' would look like. They wanted to know whether, in addition to health benefits, these improved pathways could also save the NHS and Local Authorities money. From the GATE stories we selected two that seemed particularly suitable for cost benefit analysis. I started by turning both version of each into flow-diagrams with "swim-lanes" that showed how the stories unfolded for each person or organisation involved. From this and discussions with GATE I was able to identify the steps which cost the NHS or social care time and money. The next stage was to put a financial value to these steps. Here I used a range of standard reference sources together with an understanding of how these worked in practice, combining my experience with GATE's own knowledge. From this, I developed a comparison of total costs for the 'current' and 'improved' versions of each pathway. These comparative costs were explained in my report, together with the flow-diagrams and GATE's original stories. My analysis demonstrated that the improved pathways not only delivered clear health benefits, but also cost less. This was mainly because early intervention, based on respect and understanding, prevented the need for much greater expenditure later. GATE has now published the report, including an endorsement from the Department of Health. It will be used to raise awareness with NHS and social care professionals on how a more positive approach to Gypsy and Traveller health can save money as well as deliver better outcomes. Community Links provides a range of support services for people with mental health problems across Leeds and West Yorkshire. 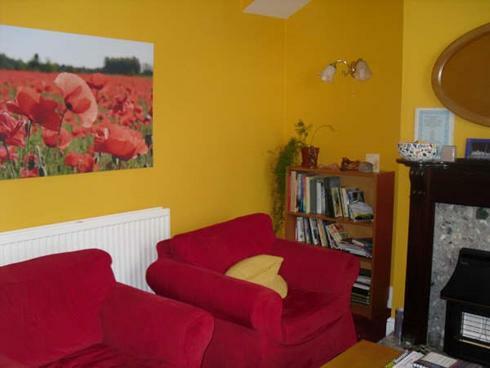 One of these is their Intermediate Hostels, which offer resettlement and rehabilitation for those leaving hospital, and also some short-stay relapse prevention (respite) places. Community Links wanted an SROI evaluation of these hostels, both to demonstrate their value and to identify further improvement options. This was a full Social Return on Investment (SROI) analysis, and input from current and former hostel clients was very important. Work began with a series of workshops to identify all ‘stakeholders’ – everyone that the hostels have an impact on. I the gathered feedback from all of these stakeholders (clients, referrers and others) on what had changed for them – what difference the hostels had made. For each of these changes I then established a credible financial equivalent or ‘proxy’, which enabled the value achieved to be compared with the amount invested in the service; this is the SROI ratio, defined as the social value achieved per £1 invested. Most important, it also identified how this social value was generated, and hence where it could be enhanced further. I presented findings in a comprehensive report that detailed the benefits for clients and others, and how these were achieved. It also identified the potential for further improvements, and these were summarised in a separate Annex that accompanied the report. Community Links was pleased to receive confirmation that, though the Intermediate Hostels ‘model’ was not a new one, it was still very effective. Results were not only shared with the local Clinical Commissioning Group but were jointly presented with them at a launch event to a wide range of current and former clients, staff and other organisations. Community Links and the CCG are currently collaborating on implementing my report’s recommendations, to improve the service still further. For a summary of the report and its recommendations, compiled by Community Links, please click here. Leeds Survivor-Led Crisis Service (LSLCS) is a registered charity working with people in crisis and at risk of suicide. Prior to my involvement, it had already evaluated its work in a number of mainly qualitative ways. It wanted to take this further by using Social Return on Investment (SROI), both to demonstrate its effectiveness to funders and to identify ways to improve its services further. My initial SROI evaluation for LSLCS took place in 2011. The process involved identifying all of the service’s key stakeholders, assessing the change they experienced as a result of its work, and then attributing a financial equivalent value to these changes. My work included discussions with the organisation's staff, with NHS and Adult Social Care representatives, and with service users themselves (known to LSLCS as “visitors and callers”), together with analysis of numeric data and other feedback. This gave a detailed understanding of the impact of the organisation's work on individuals in different situations, which in turn produced a ratio showing the social value achieved per £1 invested. In 2018, LSLCS approached me again and asked me to revise and update my SROI analysis for them. The organisation had grown substantially since my original work: its income had almost doubled and it offered a much wider range of opening hours and support services, so the original analysis had become dated. My review went through all the steps of a full SROI again, including discussions with staff, NHS and Adult Social Care representatives, and LSLCS’s visitors and callers. The initial analysis demonstrated that the charity delivered between £4 and £6.50 of social value for every £1 of funding investment. LSLCS found these figures very helpful in their discussions with commissioners, and also in talking to other organisations working in a similar field, to demonstrate what their approach achieved. My report also gave LSLCS further insights into its work, particular in relation to patterns of visits from different types of visitors. Several recommendations built on this, all of which LSLCS adopted. The 2018 review showed a significant increase in the SROI ratio compared with the initial analysis, to between £7.50 and £12.50 per £1 invested. It also made further recommendations, around managing demand and other practical steps the organisation could take, which LSLCS is currently pursuing. You can read a summary version of the initial SROI report here, and the 2018 SROI report here. Leeds Community Foundation (LCF) aims to improve the quality of life for local people in Leeds. It encourages giving and connects people and organisations who want to make a real difference to the city. One of its major projects brought together two of the three Leeds NHS Clinical Commissioning Groups (CCGs) and voluntary sector organisations across the city. The CCGs agreed to provide around £2m in grants to these organisations, for innovative projects that improved people's health and wellbeing, particularly for those in vulnerable or marginalised groups. A total of 63 separate projects run by 50 different voluntary organisations received funding in the first two rounds of this programme. Each project carried out its own evaluation, but LCF and the CCGs wanted an evlautaion of the whole programme as well. I was asked by LCF to work with them to produce an overall evaluatuion report. I did this by reviewing all of the reports and data produced by the projects, and identifying themes and outcomes. For example, this looked at the different client groups supported, at the various evaluation tools that projects had used, and at the levels of success that projects had achieved. It analysed outcomes for the people and communities the projects worked with, for NHS and other public services, and for the voluntary sector organisations themselves. It also identified key learning points for the future based on challenges that the projects had faced, such as achieving a good number of referrals, and the time-lag between funding award and getting the project up and running. Finally, case studies were used to highlkight examples of good practice and particularly successful outcomes. The programme overall was very successful with projects reaching, directly or indirectly, over 20,000 people. All 63 projects were able to demonstrate some degree of success, with 48 of them producing quantified outcomes data on improved health and wellbeing. Working with LCF, I prepared a report that summarised these overall outcomes and identified benefits beyond those for people the projects worked with. For example, an unexpected benefit was the extent to which the projects enhanced collaboration between voluntary and stautory services, and increased NHS organisations' understanding of how voluntary organisations could support health improvement. The report also included recommendations on how LCF and the CCGs could build on this success, and these are now being taken forward as part of the Leeds Health and Wellbeing Strategy 2016-21. An established social housing organisation wanted to overhaul its performance management system to make it robust and relevant to its aims, and also to improve the involvement and engagement of its staff. They had identified the Balanced Scorecard as the best framework for this purpose, and I was asked (via TEAL Consulting) to support them. I led two main workshops with all of the Group's senior managers. The first covered understanding of Balanced Scorecard and strategy mapping principles, and led to a draft strategy map for the organisation. The second dealt with 'From Strategy Map to Scorecard', identifying the most suitable performance indicators for each area within the strategy map. Collectively, these indicators would form the new Balanced Scorecard. After each workshop, more detailed discussions developed these ideas further and addressed aspects of practical implementation. Throughout, I worked in partnership with the organisation's own Business Improvement Team, transferring knowledge so that they could take a full role in the development process and maintain the framework in the future. This particularly applied to the development of second-tier scorecards, one for each service area to support and 'feed in' to the top-level scorecard. After a couple of initial workshops, Business Improvement Team members were able to run these themselves and involve a wide range of staff across this organisation. The organisation now has its own unique monitoring and reporting framework, comprising a corporate-level Balanced Scorecard supported by second-level scorecards that measure the contribution of all of its service areas. The new system focuses on measures that really matter and the development process has increased staff engagement at all levels as well as giving the organisation new understanding and skills. Leeds Empties is a social enterprise that works in partnership with Leeds City Council to bring empty homes back into use. In the words of the Council’s Chief Executive, “the intensive, one-to-one support that they offer can make all the difference when people need help bringing their empty property back into use”. As well as supporting the Council, Leeds Empties wanted to understand and demonstrate the broader social value it achieves for owners, residents and wider communities. 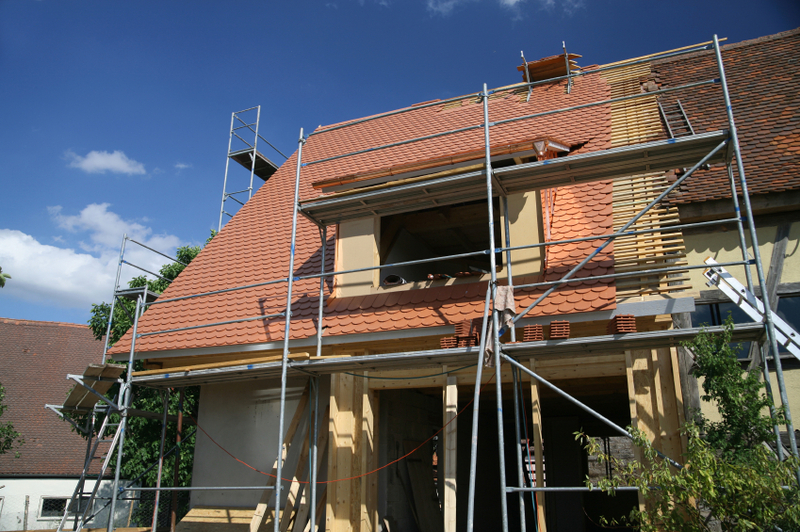 Empty properties arise for many different reasons, and have an equally diverse range of solutions. To illustrate this, I worked with them to analyse a number of case study examples of situations they had dealt with. In each case, as well as considering the work Leeds Empties had done, we identified who had benefitted and how – for example the Council, owners, new residents, local businesses and others. The findings from these case studies were brought together to analyse the outcomes achieved from a number of perspectives. Leeds City Council, as the key partner, was a major stakeholder, but it was also important for Leeds Empties to demonstrate its broader social impact. This my reports did by highlighting other aspects of social value – benefits for owners of empty properties, for new residents, for local business and others. It also put an approximate financial value on these benefits, demonstrating that Leeds Empties achieved far greater social value than the amount invested in it. 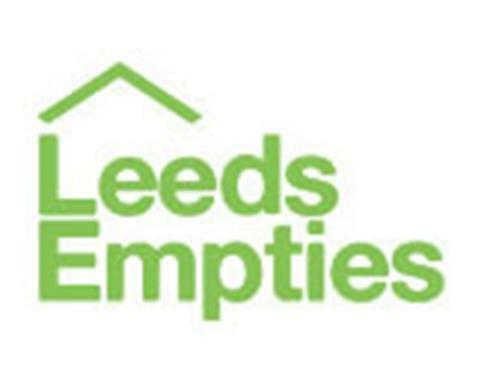 Leeds Empties greatly appreciated the reports, not just in acknowledging the success of their work but also as a means to raise their profile further, hence enabling them to tackle more empty homes. This interim report covered the first part of 2014-15, and was followed by a full report at the end of the year. Conclusions in the final report covered the various social outcomes achieved, and also made recommendations on ways to make their operations more effective and sustainable. 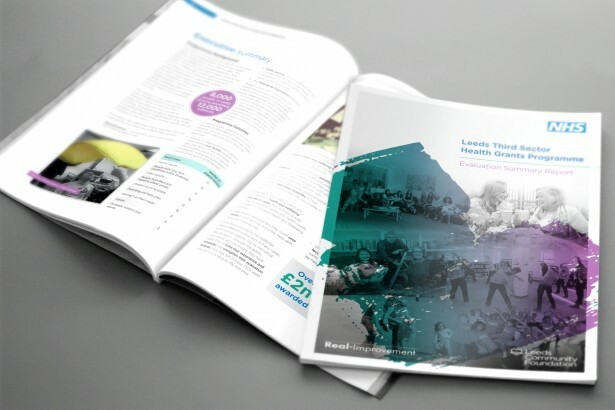 These reports also followed up a simple cost-benefit analysis for 2013-14, and each successive evaluation adds to the depth of understanding that Leeds Empties has, on how it achieves its results and how it can do more. To see a copy of the interim report, click here. To see a copy of the final report, click here, or to see a graphics summary of results click here. The Railway Children is an international charity that helps runaway children and street children in India, East Africa and the UK. In the UK it works with local charities in different parts of the country to support young people who go missing from home or care. Return Home Interviews and subsequent follow-up work with young people forms an essential part of this support. Along with some of their partner organisations, Railway Children wanted further insight into the impact of this work on the lives of these vulnerable youngsters, and on others involved. They asked me to lead an evaluation using Social Return on Investment (SROI) as the method. Critical to this evaluation was feedback from the young people themselves. The project partner organisations arranged independent interviews with a sample of the young people they had supported, to ascertain what difference the support had made to their lives. We also designed a simple 'smiley face' rating scale to measure the extent of change for each of the key aspects they reported. Alongside this we also interviewed parents, foster carers and other agencies, including children's homes, schools, the police and Local Authority Children's Services. This gave an independent view of outcomes for the young people, and also gauged what difference the project partners' work had made for these other 'stakeholders'. I conducted some of these interviews and carried out the SROI analysis based on valuing these various outcomes. I then prepared the report which Railway Children has subsequently published. The analysis showed an SROI ratio of between £3 and £7 of social value achieved for each £1 invested. More significantly, the report also demonstrated how these results were achieved, and it now forms an important part of the evidence used by Railway Children and its project partners to highlight the value of their work. The evaluation also included recommendations on how the effectiveness of this type of support for vulnerable young people could be strengthened still further. What has Negotiated Stopping achieved in Leeds, and how has this happened? To what extent could Negotiated Stopping, or something similar, be applied elsewhere in the country? If Negotiated Stopping can be applied elsewhere, what is needed to make this happen? I compiled this information and analysis into a comprehensive report. This evidenced the key benefits that Negotiated Stopping (or similar local arrangements) could achieve for Gypsies and Travellers themselves, for local authorities, for the police and for the local settled community. It particularly highlighted cost savings that local authorities and the police could realise through taking this kind of approach. This was essentially a feasibility study, and highlighted the need for further work in this field. However, my report provided a great deal of new information and insights on a subject where little previous research was available It also made several recommendations for GATE and its work with partner organisations. GATE very much appreciated report and its recommendations. It formed an important part of a conference in London in February 2016 on 'Reducing Cost and Conflict around Unauthorised Traveller Encampments', which attracted delegates from councils and police organisations across the country. GATE is currently in discussion with the Joseph Rowntree Community Trust and others on how to promote Negotiated Stopping further, using the information in my report. 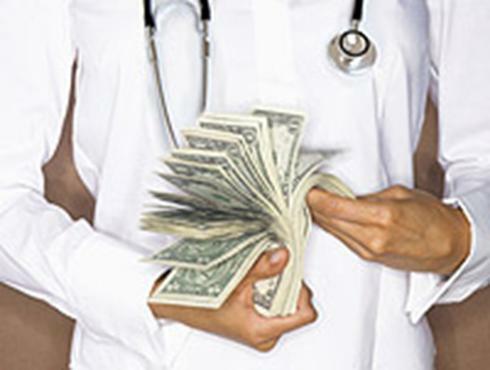 For a copy of this research report (which includes a short Executive Summary), click here. A church-based community centre had benefitted from Communitybuilders funding, to create a new building as a base for a wide range of community activities. An evaluation was required, both to ensure that funds had been well spent and to help the organisation maximise its impact. This was to be based on Social Return on Investment, although modified for the way in which the centre works. Because of the wide range of different activities the centre supported, a full SROI on all aspects of its work was not feasible. I therefore concentrated on two groups - one a carers group, the other a 'Knit & Natter' social group - to establish their outcomes and what value they gave to participants and others. From these examples, I was able to extrapolate the wider benefits the centre could expect to generate, and draw conclusions from this. My report produced SROI ratio figures for the two groups studied, and by extrapolation an estimate for the community centre as a whole. It also identified how these outcomes were achieved, and made practical recommendations on how the centre's activities could be developed further, to maximise benefits for individuals, their families and the wider community.